I think we can all agree that wearing an enormous amount of highlighter is the trend of 2017. About every cosmetics brand, on the planet, made it their goal to have the most outstanding highlighter product in their makeup line - in the hopes that it will take over every beauty lovers' social media feed. 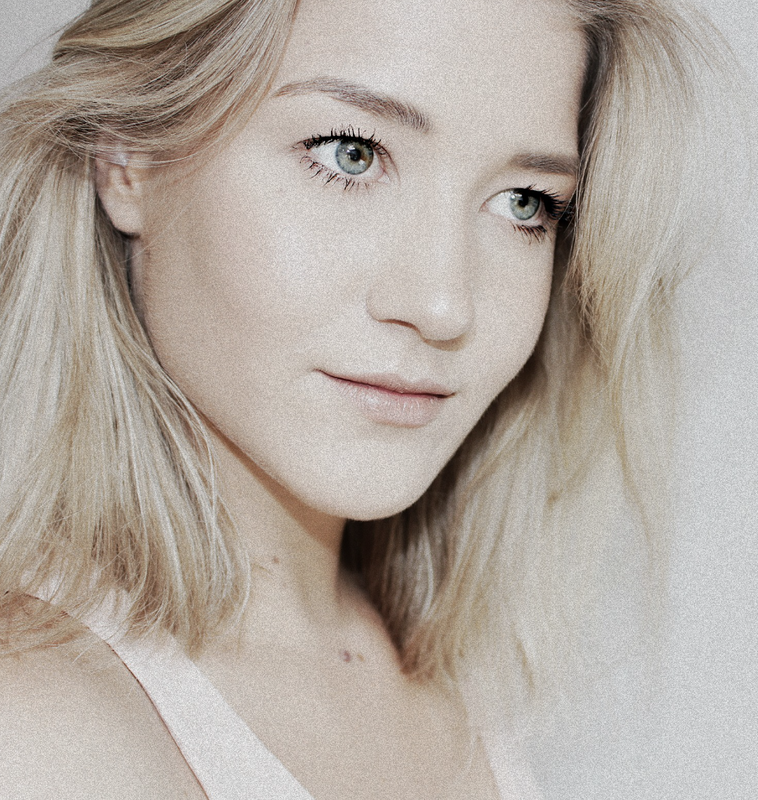 I love a good glow, something subtle that brings shape, dimension and lights up the highest points of my face. I'm not into a super shimmery look, highlighting for me is about taking your makeup to the next level without looking like a disco ball. 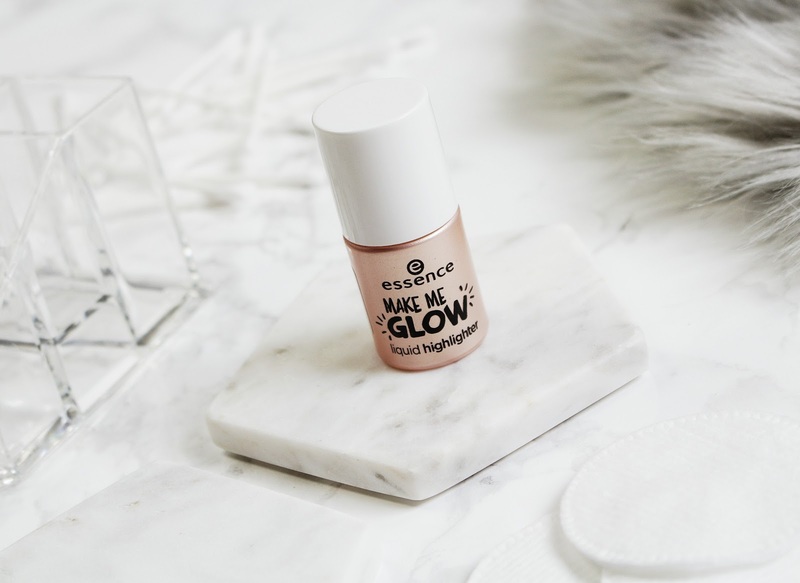 Essence Cosmetics recently released the Make Me Glow Liquid Highlighter as part of their 2017 Fall/ Winter collection. Let's have a look! 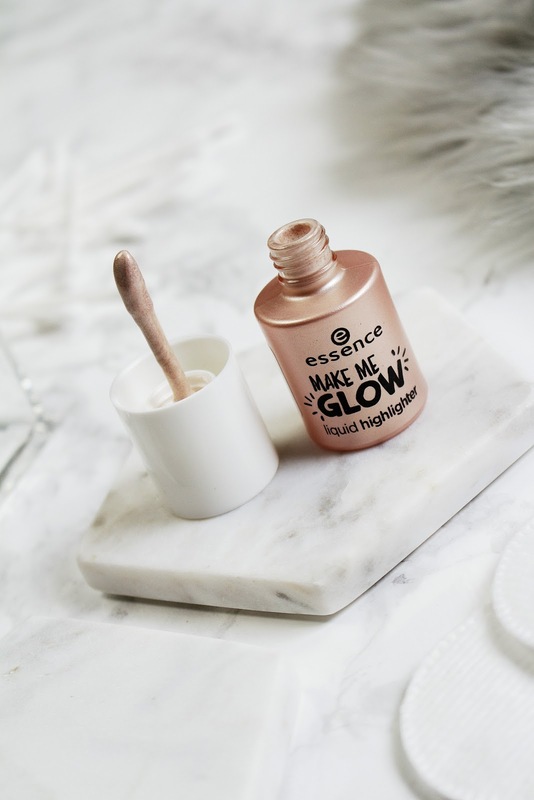 The Make Me Glow Highlighter comes in a nail polish-like bottle and so far Essence has 2 different shades available. I intended to purchase the darker shade, nr 20 sun in a bottle, which I assume has a more yellow undertone, but accidentally ordered the lighter one, nr 10 morning mist in a bottle. For the price point of €3.59 you get 7.5ml of product and it will last you for up to 12 months. The reason why I like warmer, yellow undertoned face products is because I think it has a more flattering look on my fair skin. I thought morning mist in a bottle would be some kind of a pinky highlight but after lots of testing and swatching it seems to be quite a neutral shade. I love to apply highlighter on the top of my cheekbones and my t-zone, especially the bridge of my nose, my forehead and my cupids bow. 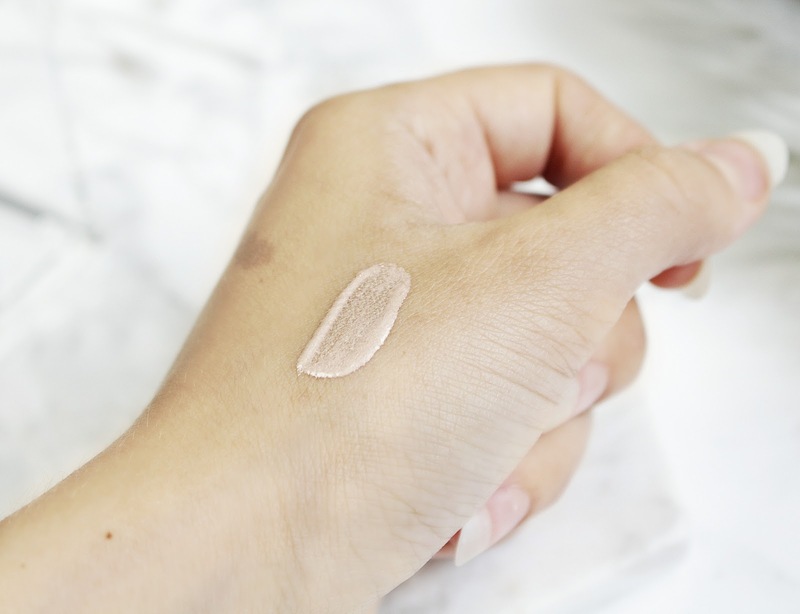 A liquid highlighter, very different from a powder, is the type of product I pretty much always use underneath my foundation, after having applied a moisturiser and maybe even a primer if necessary. I find it blends much better and easier even though it doesn't always allow the highlighter to shine to it's full potential. 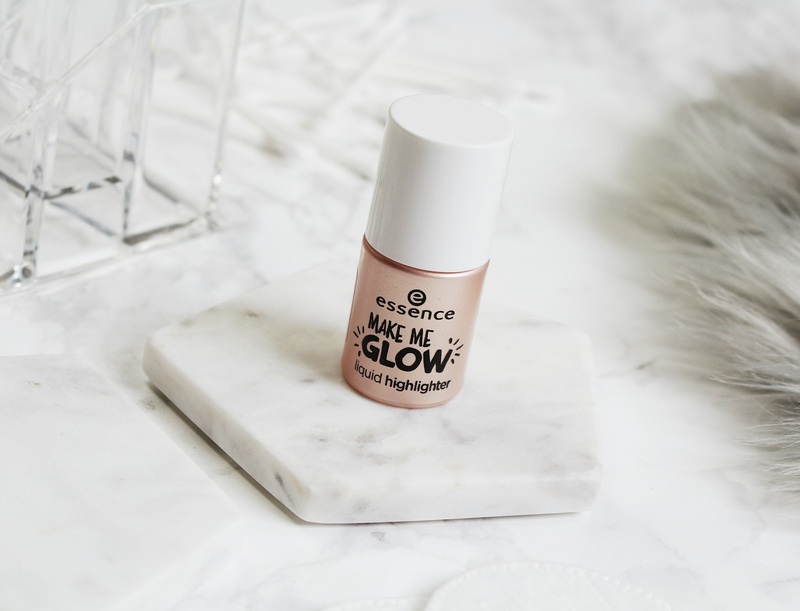 The Essence Make Me Glow comes with a dow foot applicator, which makes it really easy to apply product, and the packaging is so tiny that it actually makes for a great travel staple. I love the formula of this new Essence highlighter, it's really easy to blend, has a slight floral scent to it and gives a beautiful shine. My skin looks bright and healthy when I wear it and I find it works just as well and looks just as beautiful underneath and on top of foundation. I like to blend in the product using a damp makeup sponge or using my finger tips. I do have to say however that it tends to set quite quickly, so either choose to apply it in stages or try to blend without any distractions! I didn't expect to like this liquid highlighter as much as I do! I was so set on receiving the darker shade that I thought this Make Me Glow was going to be a dud for sure. I'm very happy with my purchase and there's no doubt that I will be purchasing the other shade as well. 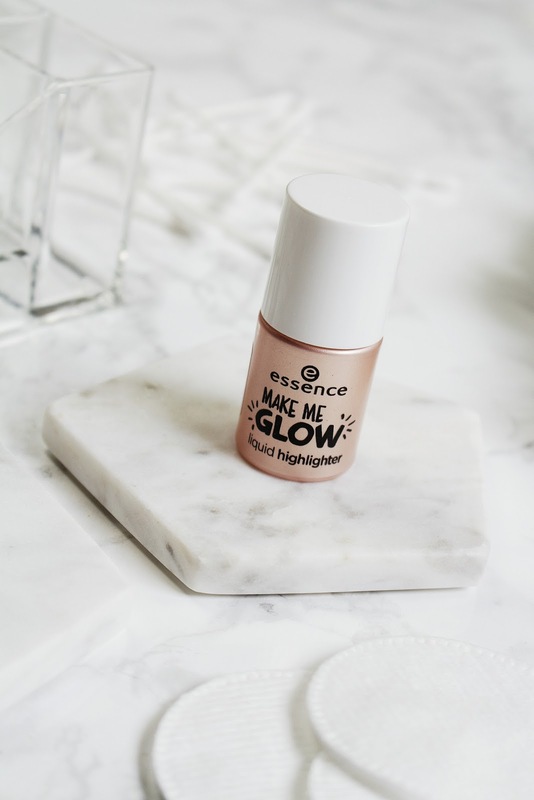 I think the essence Make Me Glow Liquid Highlighter works amazing, it doesn't slip and slide on the skin, doesn't disturb your other makeup, it just makes for a flawless look and I'm all for it. I find it very much works like many of the €10 liquid highlighters in my stash, so I definitely recommend this product! Looks like a good one! I underestimate Essence all the time. I need to try more from them!